m-Health initiatives can show an opportunity to improve the identification, prevention and management of certain diseases. Most health-care applications aims at chronic noncommunicable diseases care, and it is necessary to seek evidence from applications intended for surgical patient care, either before, during or after hospitalization. The Study Aims to identify and analyze, from the literature review and prospecting, applications for smartphones developed to assist the surgical patient. A descriptive-exploratory study developed in two sequential phases. The first one corresponded to an integrative review of the literature in the databases PubMed, Web of Knowledge, Europe PMC database and Cumulative Index to Nursing and Allied Health Literature database. The second phase corresponded to an exploration of applications in the European Patent Office, United States Patent and Trademark Office (USPTO), Free Patents Online, Canadian Intellectual Property Office and World Intellectual Property Organization. In both phases, we do not restrict the results by year of publication/registration or language. At each stage, the selected studies/patents were analyzed and pre-selected, according to the inclusion and exclusion criteria, by reading their titles and abstracts. Subsequently, we analyzed those with the potential of participation in the study, evaluating the answer to the research question, as well as the type of research, objectives, sample, method, outcomes, results and conclusion. Finally, the articles/patents record found were read in full. In the databases, 14 studies that presented some application for smartphone aimed at the surgical patient were selected. Most of them were in PubMed (64.3%), published in English (100%). Regarding origin, 28.6% of the texts are from the United States of America, 14.3 from Sweden and 14.3 from Canada. On the other hand, in patent databases, 10 registries were selected, 60% in the USPTO patent base, hosted in hybrid systems (iPhone and Android) and developed in the last 5 years (2014-1018) (80%). In general, there is a series of applications aimed at surgical patients, such as targets and/or users, mainly focused on the exchange of text and image messages but concentrated on assisting the physician/health team in the preparation of the patient during the procedure or post discharge. It is necessary to invest in the creation of technologies that aim to monitor these patients, especially in post discharge. The characteristics of applications indicate a strong hospital centered tendency in relation to its purpose, having the surgeon as the main user and the surgical patient as the main target. The applications are still focused on optimizing diagnostics or functions, and no initiatives are identified to monitor the patient in a non-hospital environment. Keywords: m-Health, Surgical, Surgical complications, Mobile applications, Smart Phones, Management. © 2019 de Sousa et al. In recent years, emerging information and mass communication technologies to improve or enable population health, commonly referred to as e-Health, have become commonplace and popular. The high potential for innovation and propagation of these technologies regarding the promotion and prevention of health in a remote way, mainly related to health education in hard-to-reach populations offers a unique opportunity for patients who need continuous monitoring, such as the surgical patient [1Olsen MR, Casado-Lumbreras C, Colomo-Palacios R. ADHD in eHealth-A systematic literature review. Procedia Comput Sci 2016; 100: 207-14. [http://dx.doi.org/10.1016/j.procs.2016.09.142] ]. Recently, such initiatives have gained a powerful ally in this process: smartphones and all their mobile technological input, giving rise to the M-health phenomenon (mobile health). The popularization of smartphones represented a technological revolution of greater impact by being associated with the internet and social networks. These “smart phones” have enough technology to establish information flow including the exchange of audio messages, text and high-resolution photographic files [1Olsen MR, Casado-Lumbreras C, Colomo-Palacios R. ADHD in eHealth-A systematic literature review. Procedia Comput Sci 2016; 100: 207-14. [http://dx.doi.org/10.1016/j.procs.2016.09.142] -3Klasnja P, Pratt W. Healthcare in the pocket: mapping the space of mobile-phone health interventions. J Biomed Inform 2012; 45(1): 184-98. [http://dx.doi.org/10.1016/j.jbi.2011.08.017] [PMID: 219 25288] ]. By basing most of its tasks on applications (apps) with attractive, intuitive and user-friendly interfaces, visual and auditory features, as well as being able to be downloaded on a variety of platforms, smartphones are increasingly gaining space in the health system users/patients. Initially, applications for M-health purposes performed the function of professional support, mainly related to the aid of diagnostics, therapeutic approaches and prescriptions of medicines using specific sensors for such purposes. Gradually, this function has been overcome, and the new applications developed are directed to health monitoring, reducing the distance between the patient and the healthcare team [4Wallace S, Clark M, White J. ‘It’s on my iPhone’: attitudes to the use of mobile computing devices in medical education, a mixed-methods study. BMJ Open 2012; 2(4): e001099. [http://dx.doi.org/10.1136/bmjopen-2012-001099] [PMID: 229 23627] ]. However, a recent study [5Iwaya LH, Gomes MAL, Simplício MA, et al. Mobile health in emerging countries: a survey of research initiatives in Brazil. Int J Med Inform 2013; 82(5): 283-98. [http://dx.doi.org/10.1016/j.ijmedinf.2013.01.003] [PMID: 234 10658] ] shows that most health-care applications developed are focused on chronic noncommunicable diseases (CNCD), especially in Brazil, and it is necessary to seek evidence of applications aimed at surgical patient care, whether before, during or after hospitalization. Thus, this study aims to identify and analyze, from the literature review and prospection, applications for smart phones developed to assist the surgical patient. This is a descriptive-exploratory study [6Mesquita AC, Zamarioli CM, Carvalho EC. 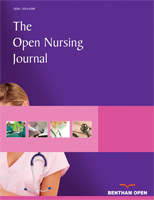 The use of robots in nursing care practices: an exploratory-descriptive study. Online braz j nurs 2016; 15(3): 404-13. ], conducted in two sequential phases: integrative literature review and application exploration. Integrative Review (IR) is an important resource of evidence-based practice and provides systematic techniques to summarize the past of given literature, providing a comprehensive understanding of a given phenomenon [7Fineout-Overholt E, Williamson KM, Gallagher-Ford L, Melnyk BM, Stillwell SB. Following the evidence: planning for sustainable change. Am J Nurs 2011; 111(1): 54-60. [http://dx.doi.org/10.1097/01.NAJ.0000393062.83761.c0] [PMID: 21191 236] ]. On the other hand, studies on technology prospecting refer to activities of technology determination focused on technological changes in functional capacity, or on time and meaning of an innovation. This type of study aims at incorporating information into the technology management process, and thus to predict possible future states of the technology or conditions that affect its contribution to established goals [8Santos MM, Coelho GM, Santos DM, Filho LF. Prospecção de tecnologias de futuro: métodos, técnicas e abordagens. Parcerias estratégicas 2010; 19(12): 189-230.]. Therefore, prospecting studies are useful for presenting the current state-of-the-art of a certain technological area, and for generating information about its trajectory, future and market trends, as well as the perception of weaknesses in certain areas [9Coelho GM. La société de la connaissance et les systèmes d’information stratégique comme appui à la prise de décision: proposition pour l’enseignement de l’Intelligence Compétitive au Brésil 2001 330 f Tese (Doutorado) 2001.]. Thus, they portray what is being recently done and point out the gaps that still have to be fulfilled. Nowadays, these studies constitute fundamental components to increase the capacity of anticipation and to stimulate the organization of innovation systems, transcending the business scope, for the academic environment. The elaboration of this stage included: definition of the research object; establishment of inclusion and exclusion criteria for sample selection; definition of the information to be extracted from the selected articles; analysis and discussion of results [7Fineout-Overholt E, Williamson KM, Gallagher-Ford L, Melnyk BM, Stillwell SB. Following the evidence: planning for sustainable change. Am J Nurs 2011; 111(1): 54-60. [http://dx.doi.org/10.1097/01.NAJ.0000393062.83761.c0] [PMID: 21191 236] ]. Thus, according to the adopted framework [7Fineout-Overholt E, Williamson KM, Gallagher-Ford L, Melnyk BM, Stillwell SB. Following the evidence: planning for sustainable change. Am J Nurs 2011; 111(1): 54-60. [http://dx.doi.org/10.1097/01.NAJ.0000393062.83761.c0] [PMID: 21191 236] ], we defined the mobile applications for smartphones developed to assist the surgical patient as a research object. We then used MeSh descriptors to search the PubMed databases through the PubMed portal of the National Library of Medicine, Web of Knowledge (WoK) and Europe PMC, and, through the combination of descriptors and keywords, the Cumulative Index to Nursing and Allied Health Literature (CINAHL). The defined inclusion criteria were: primary studies [7Fineout-Overholt E, Williamson KM, Gallagher-Ford L, Melnyk BM, Stillwell SB. Following the evidence: planning for sustainable change. Am J Nurs 2011; 111(1): 54-60. [http://dx.doi.org/10.1097/01.NAJ.0000393062.83761.c0] [PMID: 21191 236] ], with full-text available, published until December 2016, in any language. Chapters of books, doctoral theses, master’s dissertations and technical reports were excluded from the initial search. The research was conducted from February 1st to the 15th, 2017 and was carried out simultaneously by two researchers with expertise in the subject and method. Surgical procedures, operative OR surgical AND procedures AND operative OR operative surgical procedures OR surgical AND patients OR patients AND cell phones OR cell AND phones OR cell phones OR mobile AND phone OR mobile phone AND applications. Mobile Applications AND Patient OR Surgical OR Surgical Patients. In the first phase, the selected studies in the databases were analyzed and pre-selected according to the inclusion and exclusion criteria, by reading their titles and abstracts. If the article did not have an abstract or it did not allow the exclusion or inclusion of the article, the full article was read. We obtained 36 studies from PubMed, 04 from CINAHL, 33 from Europe PMC and 10 from the Web of Science, totaling 83 studies. In the second phase, the studies were analyzed regarding the potential of inclusion in the study, evaluating the answer to the question of research, as well as its type, objectives, sample, method, outcomes, results and conclusion, resulting in 18 studies. The third phase consisted of the complete reading of the 18 studies, aiming to collect data specific to the study objectives, which resulted in 14 studies selected for the research (Fig. 1 ). This step was performed by two researchers. Meetings were held for discussion and consensus among resear- chers about the inclusion or exclusion of each study in the research. Flowchart for selection of studies retrieved from databases. Notes: European Patent Office (Espacenet), United States Patent and Trademark Office (USPTO), Free Patents Online (FPO), Canadian Intellectual Property Office (CIPO), and World Intellectual Property Organization (WIPO). Flowchart of search in the selected patent bases. The flowchart for search is described in Fig. (2 ). The data were qualitatively analyzed by the researchers and presented in Tables 1 and 2 and in Figs. (1 and 2 ). The primary studies selected in the databases were analyzed for their main objective. The application presented in each study was evaluated for the name, characteristics and functions, availability for the main systems (iOS, Android and Windows Phone), country where it was developed, target population and user. On the other hand, patent registrations were analyzed descriptively according to the information retrieved from the patent bases. We registered project title, name of the proposed application, origin where it was retrieved, publication number, year of registration and main characteristics. This research exempted the evaluation by an ethics committee because it did not involve human beings, according to the dispositions in the national ordinances 466/12 and 510/16. In the review stage of the literature, 14 primary studies were included, didactically ordered and identified from A1 to A14. All studies (100%) were in English, with a concentration in the year 2015 (42.8%), in the PubMed database (71.4%), developed in the United States of America (28.6%). The applications developed were hosted on hybrid systems (IPhone and Android). In general, there are a series of applications aimed at surgical patients, as targets and/or users, mainly focused on the exchange of text and image messages but concentrated on assisting the physician/health team in the preparation of the patient during the procedure or post discharge. Distribution of studies regarding title, year of publication, database, main purpose, name of the application developed, characteristics of the application, hosted platform, classification, country, target and users. Distribution of selected patents according to title, base, publication number, year and objective. Most applications identified were centered on hospital care [11De Silva L, Diamantidis CJ, Prakash D, Zuckerman M, Weir MR, Weir MR. Usability of mobile technology to screen for drug-drug interactions in kidney transplant patients. Am J Nephrol 2014; 40(2): 97-104. [http://dx.doi.org/10.1159/000364910] [PMID: 25059 671] -14Gustavell T, Sundberg K, Frank C, et al. Symptoms and self-care following pancreaticoduodenectomy: Perspectives from patients and healthcare professionals - Foundation for an interactive ICT application. Eur J Oncol Nurs 2017; 26: 36-41. [http://dx.doi.org/10.1016/j.ejon.2016.12.002] [PMID: 28069 150] , 16Lorenzo-Zúñiga V, Moreno de Vega V, Marín I, Barberá M, Boix J. Improving the quality of colonoscopy bowel preparation using a smart phone application: a randomized trial. Dig Endosc 2015; 27(5): 590-5. [http://dx.doi.org/10.1111/den.12467] [PMID: 25708 251] , 18Tarakji KG, Wazni OM, Callahan T, et al. Using a novel wireless system for monitoring patients after the atrial fibrillation ablation procedure: the iTransmit study. Heart Rhythm 2015; 12(3): 554-9. [http://dx.doi.org/10.1016/j.hrthm.2014.11.015] [PMID: 254 60854] -24Parvizi D, Giretzlehner M, Dirnberger J, et al. The use of telemedicine in burn care: development of a mobile system for TBSA documentation and remote assessment. Ann Burns Fire Disasters 2014; 27(2): 94-100. [PMID: 26170 783] ]. Also, regarding functions, the predominant applications were focused on “Mobile Telemedicine Services” [10mHealth: New horizons for health through mobile technologies: second global survey on eHealth 2011. Available from: http://www.who.int/goe/publications/goe_mhealth_web.pdf] and “Applications for patient monitoring” [10mHealth: New horizons for health through mobile technologies: second global survey on eHealth 2011. Available from: http://www.who.int/goe/publications/goe_mhealth_web.pdf]. Then, based on the finding that the main applications were developed in Europe and the United States of America, a systematized search was made on the chosen patent bases, as described in Fig. (2 ). Selected patents/application log were analyzed for title, base, publication number, year and objective. We identified 09 patents, predominant in the USPTO base, developed between 2012 and 2013 aiming to provide better patient care during surgery or hospitalization (Chart 02). This analysis showed that applications in development are still focused on patient care in the hospital, with the surgeon as the protagonist. Our study is a pioneer in combining bibliographical strategies (integrative review) and bibliometric (technological prospecting) to identify mobile applications for assistance to the surgical patient. The mapping of the main mobile applications (apps) aimed at assisting surgical patients showed that there are initiatives. However, they are focused on the exchange of text and image messages between the medical team or on improving the care provided to the patient by the health team. The health mobility technologies (m-Health), benefitted by the advancement of smartphones, are presented as viable and important innovative solutions for health management of the population, however when their applicability is restricted to the hospital, professionals and institutions are underutilizing its potential. Most applications identified were centered on hospital care [11De Silva L, Diamantidis CJ, Prakash D, Zuckerman M, Weir MR, Weir MR. Usability of mobile technology to screen for drug-drug interactions in kidney transplant patients. Am J Nephrol 2014; 40(2): 97-104. [http://dx.doi.org/10.1159/000364910] [PMID: 25059 671] -14Gustavell T, Sundberg K, Frank C, et al. Symptoms and self-care following pancreaticoduodenectomy: Perspectives from patients and healthcare professionals - Foundation for an interactive ICT application. Eur J Oncol Nurs 2017; 26: 36-41. [http://dx.doi.org/10.1016/j.ejon.2016.12.002] [PMID: 28069 150] , 16Lorenzo-Zúñiga V, Moreno de Vega V, Marín I, Barberá M, Boix J. Improving the quality of colonoscopy bowel preparation using a smart phone application: a randomized trial. Dig Endosc 2015; 27(5): 590-5. [http://dx.doi.org/10.1111/den.12467] [PMID: 25708 251] , 18Tarakji KG, Wazni OM, Callahan T, et al. Using a novel wireless system for monitoring patients after the atrial fibrillation ablation procedure: the iTransmit study. Heart Rhythm 2015; 12(3): 554-9. [http://dx.doi.org/10.1016/j.hrthm.2014.11.015] [PMID: 254 60854] -24Parvizi D, Giretzlehner M, Dirnberger J, et al. The use of telemedicine in burn care: development of a mobile system for TBSA documentation and remote assessment. Ann Burns Fire Disasters 2014; 27(2): 94-100. [PMID: 26170 783] ]. Considering the specificities of the surgical patient, the establishment of more precise criteria to assist in the surgical approach contributes to the good development and reestablishment of the patient in relation to the surgery (A1,3,6,10,12). In addition, the existence of such technologies is an essential investment in improving communication between the health professionals, the patient and the family/ caregiver, reducing anxiety and other negative feelings, as well as having great value in the decision-making process, and educational aspects in health. Also, when regarding functions, the predominant applications were focused on “Mobile Telemedicine Services” [10mHealth: New horizons for health through mobile technologies: second global survey on eHealth 2011. Available from: http://www.who.int/goe/publications/goe_mhealth_web.pdf] and “Applications for patient monitoring” [10mHealth: New horizons for health through mobile technologies: second global survey on eHealth 2011. Available from: http://www.who.int/goe/publications/goe_mhealth_web.pdf]. The first one corresponds to the use of functions common to mobile devices in health situations, such as communication between health professionals for consultation, help in diagnosis doubts, among others. It is useful in situations where there is a shortage of human resources and although preponderant in the literature, it is considered outdated by the range of resources currently available [5Iwaya LH, Gomes MAL, Simplício MA, et al. Mobile health in emerging countries: a survey of research initiatives in Brazil. Int J Med Inform 2013; 82(5): 283-98. [http://dx.doi.org/10.1016/j.ijmedinf.2013.01.003] [PMID: 234 10658] , 10mHealth: New horizons for health through mobile technologies: second global survey on eHealth 2011. Available from: http://www.who.int/goe/publications/goe_mhealth_web.pdf]. On the other hand, applications for patient monitoring correspond to the use of technology to manage, monitor and treat a patient with some disease at a distance. It is especially used in chronic diseases such as diabetes, and in this case the exchange of necessary and important information can reduce the need for visits to health institutions and inform teams about emergency care [5Iwaya LH, Gomes MAL, Simplício MA, et al. Mobile health in emerging countries: a survey of research initiatives in Brazil. Int J Med Inform 2013; 82(5): 283-98. [http://dx.doi.org/10.1016/j.ijmedinf.2013.01.003] [PMID: 234 10658] , 10mHealth: New horizons for health through mobile technologies: second global survey on eHealth 2011. Available from: http://www.who.int/goe/publications/goe_mhealth_web.pdf, 25Fu H, McMahon SK, Gross CR, Adam TJ, Wyman JF. Usability and clinical efficacy of diabetes mobile applications for adults with type 2 diabetes: A systematic review. Diabetes Res Clin Pract 2017; 131: 70-81. [http://dx.doi.org/10.1016/j.diabres.2017.06.016] [PMID: 286 92830] , 26Wu Y, Yao X, Vespasiani G, et al. 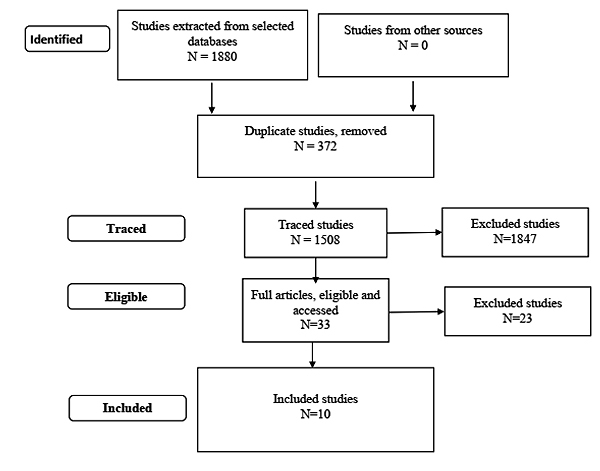 Mobile App-Based Interventions to Support Diabetes Self-Management: A Systematic Review of Randomized Controlled Trials to Identify Functions Associated with Glycemic Efficacy. JMIR Mhealth Uhealth 2017; 5(3): e35. [http://dx.doi.org/10.2196/mhealth.6522] [PMID: 28292 740] ]. Although monitoring is provided remotely, the applications for this purpose, in general, were restricted to the monitoring of patients in the hospital itself [27Peng W, Yuan S, Holtz BE. Exploring the Challenges and Opportunities of Health Mobile Apps for Individuals with Type 2 Diabetes Living in Rural Communities. Telemed J E Health 2016; 22(9): 733-8. [http://dx.doi.org/10.1089/tmj.2015.0180] [PMID: 26982 017] , 28Portz JD, Vehovec A, Dolansky MA, Levin JB, Bull S, Boxer R. The Development and Acceptability of a Mobile Application for Tracking Symptoms of Heart Failure Among Older Adults. Telemed J E Health 2018; 24(2): 161-5. [http://dx.doi.org/10.1089/tmj.2017.0036] [PMID: 28696 832] ]. However, due to mobility characteristics, the use of remote applications is promising, but little explored, especially in post-hospital discharge. Furthermore, the analysis of the patent database results shows that the applications in development are still focused on patient care in the hospital, with the surgeon as the protagonist. Regarding Brazil, applications aimed at patient monitoring appear to be predominantly focused on a specific type of chronic disease, cardiac conditions, one of the most serious and severe health problems in the world, with no registry of apps aimed at surgical patient [5Iwaya LH, Gomes MAL, Simplício MA, et al. Mobile health in emerging countries: a survey of research initiatives in Brazil. Int J Med Inform 2013; 82(5): 283-98. [http://dx.doi.org/10.1016/j.ijmedinf.2013.01.003] [PMID: 234 10658] ]. We believe that the use of m-Health may present a fundamental tool to improve surgical patient care at home, in order to identify early signs and symptoms of possible post-discharge complications. It must be considered that the management of this monitoring involves the health team, with an important role of the nurse. The training of this professional qualifies him/her to identify health-disease situations, subsidizing the prescription and implementation of concrete health actions in the promotion, prevention, recovery and rehabilitation in individual, family and community health, based on the systematization of his/her assistance [29Maijala V, Tossavainen K, Turunen H. Health promotion practices delivered by primary health care nurses: Elements for success in Finland. Appl Nurs Res 2016; 30: 45-51. [http://dx.doi.org/10.1016/j.apnr.2015.11.002] [PMID: 27091 252] ]. Combining the results of studies involving the creation of technologies (Integrative Revision) with proposals still under development (technological prospecting) allows to identify gaps, to draw new initiatives and to complement the existing ones. Thus, our results contribute to bring the activities of human health even closer to initiatives of technology and innovation in health. There is a range of mobile applications aimed at surgical patient care. The characteristics of these applications indicate a strong hospital-centered tendency regarding its purpose, having the surgeon as the main user and the surgical patient as the main target. The applications are still focused on optimizing diagnostics or functions, and no initiatives are identified to monitor the patient in a non-hospital environment. Mesquita AC, Zamarioli CM, Carvalho EC. The use of robots in nursing care practices: an exploratory-descriptive study. Online braz j nurs 2016; 15(3): 404-13. Santos MM, Coelho GM, Santos DM, Filho LF. Prospecção de tecnologias de futuro: métodos, técnicas e abordagens. Parcerias estratégicas 2010; 19(12): 189-230. Coelho GM. La société de la connaissance et les systèmes d’information stratégique comme appui à la prise de décision: proposition pour l’enseignement de l’Intelligence Compétitive au Brésil 2001 330 f Tese (Doutorado) 2001. Pfaeffli L, Maddison R, Jiang Y, Dalleck L, Löf M. Measuring physical activity in a cardiac rehabilitation population using a smartphone-based questionnaire. J Med Internet Res 2013;22; 15(3): e61.